Now, if you could help us and it didn’t cost you, would you? Hi, Alistair McGinn here, CEO of the Northland Rugby Union. I am delighted to be able to announce a new fundraising initiative where you can help us and it won’t cost you a cent. Sound too good to be true I hear you say, well it’s not. I have joined up and I am donating $90.00 a year to Northland Junior Rugby and I got to save $102.00 a year myself! The Northland Rugby Union delivers rugby programmes to over 5,000 young people aged from 3-4 to 19 years old across Northland, from Wellsford in the south to Te Hapua in the north. We appreciate the support we receive from individuals, families, groups and businesses from all over Northland. Due to the growing number of young men and women seeking to play rugby across all ages we are struggling to meet the rising costs of the various programmes and events we put on for them across our province. 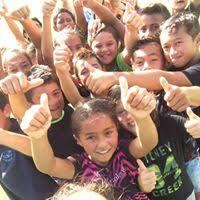 We are looking for 1,000 or more rugby people like me to reach our target of $80,000+ from this initiative. Of course we will accept more as it will enable us to put even more back into your children’s rugby – and it won’t cost you a cent! We all must buy our electricity from somewhere. If you were to buy your electricity from Community Power you will pay no more than you pay today (and possibly even less like I am now) and you will get to donate a share of the profits Community Power makes from your bill to Northland Junior Rugby. That’s right, your donation comes from Community Power’s profits, not your pocket, so you never pay a cent more! I have switched my electricity supply and my donation will be around $90.00 a year. My donation will keep on giving year after year, and I now pay less for my power than I was before. Joining was very easy. I simply emailed my latest electricity bill to Community Power, they came back to me with how much my donation would be and what my savings are. I simply had to say ‘Yes’ and they did the rest. We will be calling on you. Community Power will begin calling on all of you, our members, on our behalf to tell you about this easy way of supporting junior rugby in Northland, at no cost to you. You may even get some savings. Community Power is a new Social Enterprise company. That means they share the profits they make with the Northland Junior Rugby when we buy our electricity from them. Now, if you could help junior rugby in Northland, and it didn’t cost you, would you?